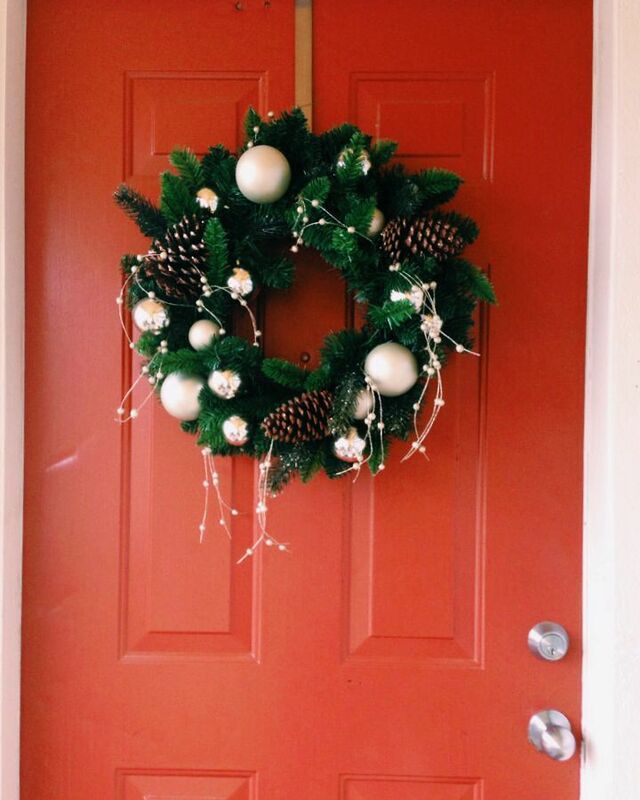 We put up our Christmas decor a while ago, but let's face it, I have not had time to blog about it yet. So here we are a week before Christmas (where did this month go?) 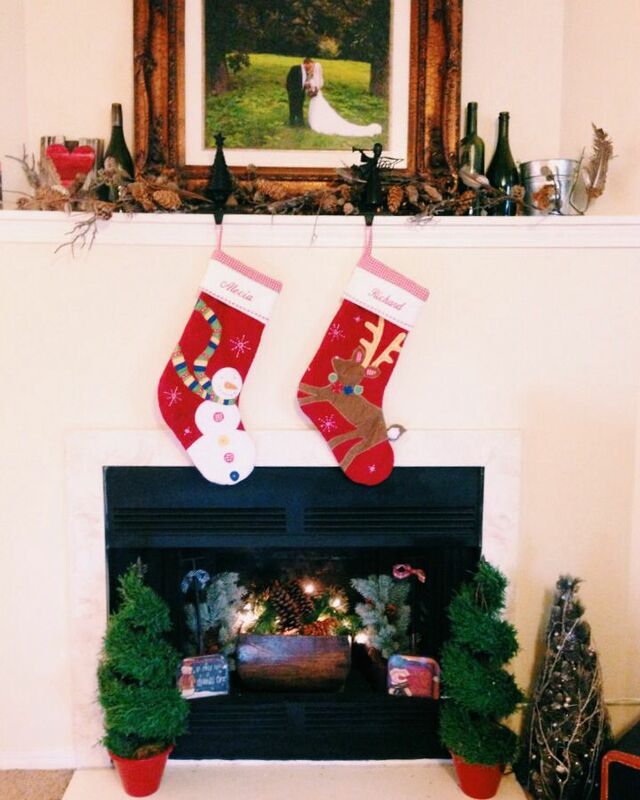 and I am finally talking about my Christmas decor. 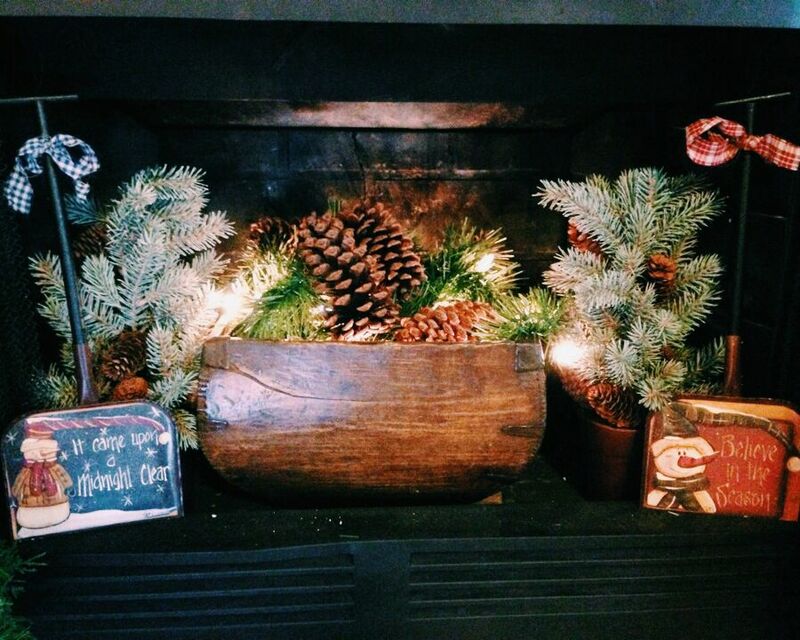 I added a brown wood bucket and filled it with a lighted garland and some pine cones that my husband found for me. 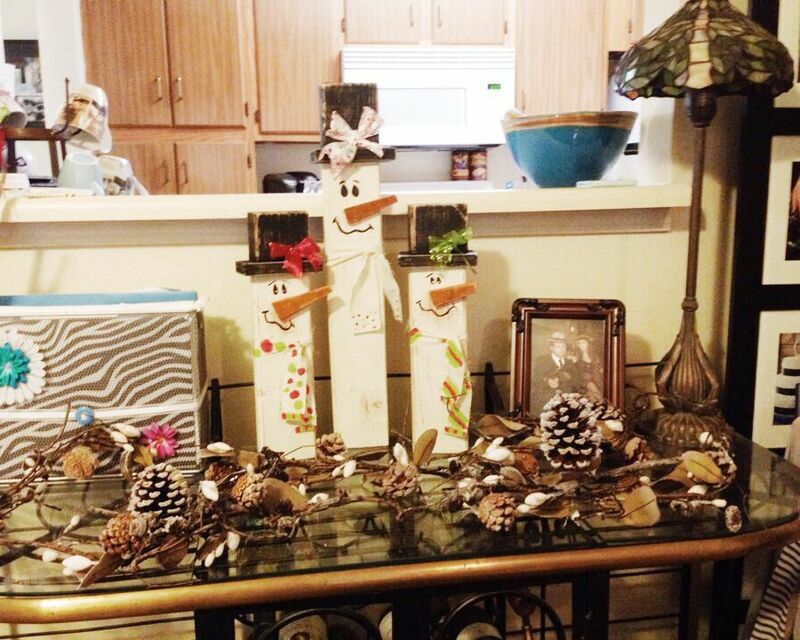 On each side I added a mini tree and these cute little shovels to add to the festivities. 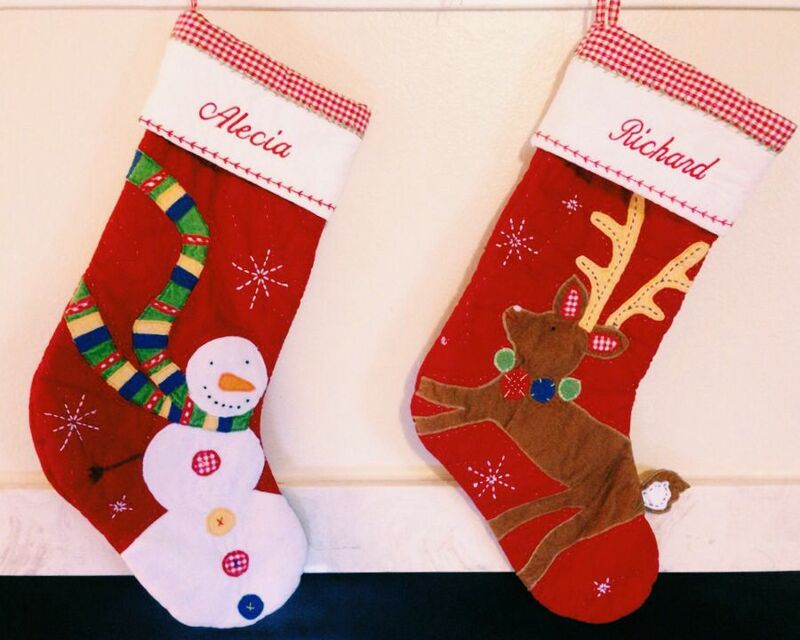 And our stockings are definitely my favorite part. 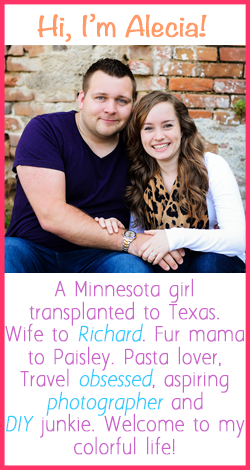 I am so happy that we decided to get them embroidered with our names on them a few years ago. 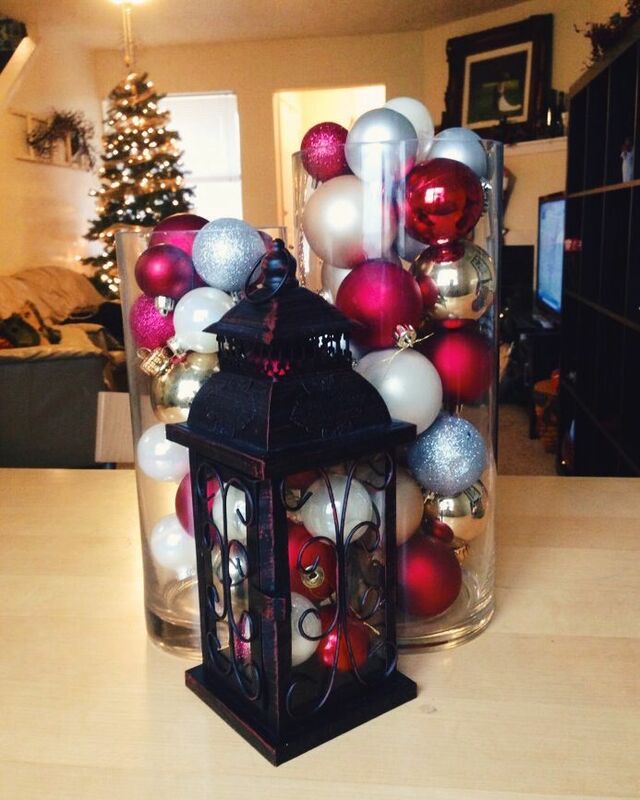 We then filled our jars on the kitchen table with different colored Christmas balls. It just looks so fun. And we have trees galore in our house mostly because they were given to us. They are everywhere. This one sits at the top of our stairs so that we have something Christmas-y upstairs. And this is a terrible picture and does not do this space justice. 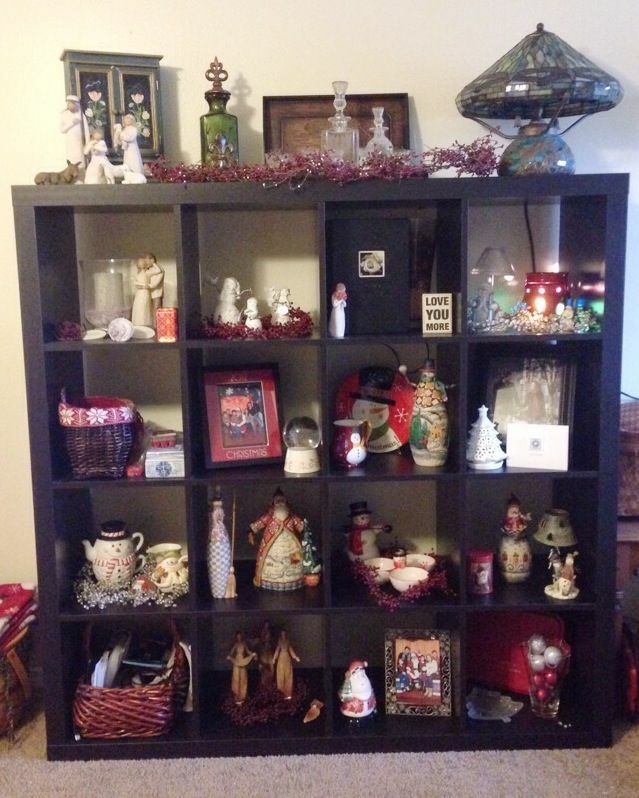 We fill our "cubes" in our living room full of different Christmas nick-nacks that we have collected. I find this is the easiest way to display all of our stuff without it looking too crazy. And then on top of our wine rack we have a garland and the three wood snowmen that we purchased when we went to Natchitoches. And I saved the best for last. 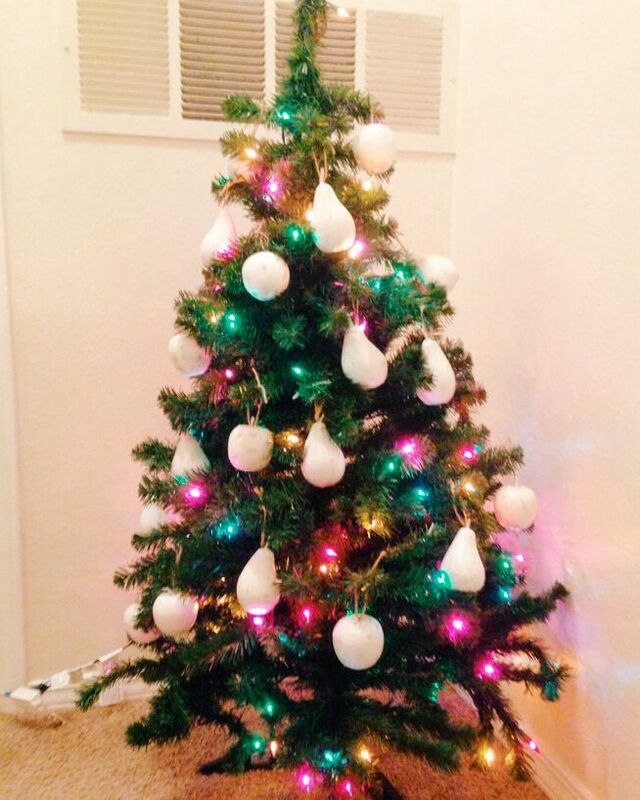 Our amazing Christmas tree. We decided to put ribbon on it this year since I was inspired by the trees decorated at work. 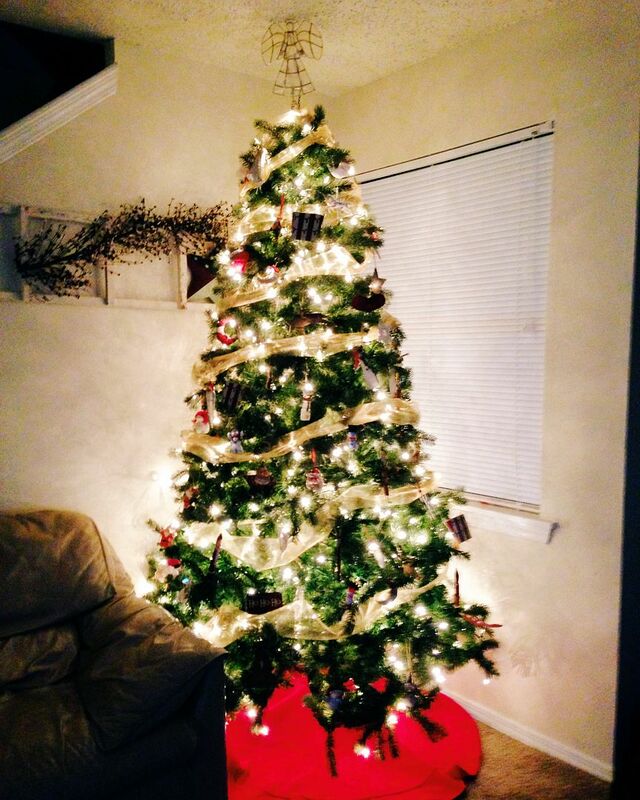 And I really like it; it adds that little extra flair that our tree needed. I wish that we could have Christmas decorations up year round. Everything is just so happy and sparkle-y and I just love it.